Meet me in Las Vegas next week! Me and the A-List Marketing crew and some clients will be heading to the Nightclub & Bar show in Las Vegas from this Sunday through Wednesday (Mar 6 – Mar 9). I will be blogging and tweeting when I see something worthy. 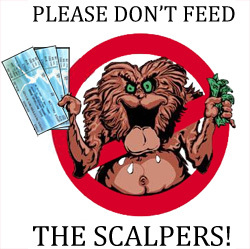 Anyone following the blog or my twitter account @tbchicago1 who is out for the show ping me a message. Would love to meet and greet! We have a poolside table at the Tuesday night XS party and will be at the Absolut Monday afternoon pool party – so stop by and say hi! 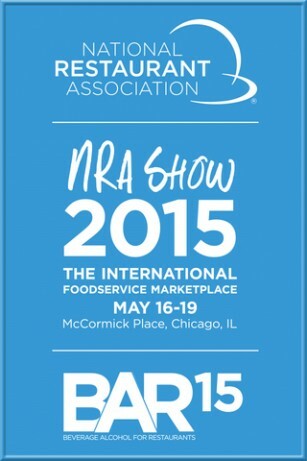 Or see you on the NC&B trade show floor all day Tuesday. 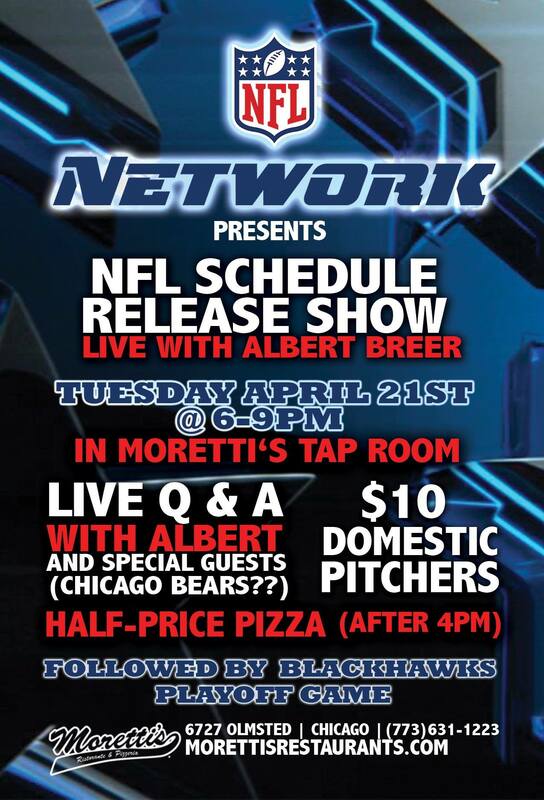 Join my friends and clients at Moretti’s Edison Park (Northwest Side of Chicago) TONIGHT for the Live NFL Schedule Release show, hosted by Albert Breer, National Reporter, NFL Network and Boston’s 98.5 The Sports Hub. Join us for fun, food, drinks, special guests and live football commentary. Chicago is getting ready for the NFL Draft and the excitement is building all over the city! ~~ Courtesy of the hilariously named “Cooking Stoned” blog.